Wild Hostess has missed twice to Deep Field, going to switch as don’t want hercoming home empty. Want to add speed, plenty of stamina, good wind, good conformation there. Does anyone see any problem with Extreme Choice? I love the Hussonet and Rory’s Jester, though it’s close breeding. Has to be in Hunter Valley. I wouldn't change on the basis of two services. Deep Field is a good match, has excellent fertility generally, and you have at least two more chances with him. And, with respect, the mare rather than sire might be the problem. A few options for you. I won't go into a lot of detail but I think that all offer something for the mare. Al MAHER- a well priced very good proven stallion who will give you a good chance of breeding a horse that will run. A great way to kick off the career of an unproven mare. SCISSOR KICK - a unproven stallion but again a reasonable mating. He does not look to have had the greatest support, so probably a high risk sales prospect. His family has plenty of 2yo's but a bit more substance to the female line than a lot of prospects, so he is worth a look. Seeing Southern Image worked so well , with the immediate female line ,and the presence of Snitzels female line in his pedigee , maybe Sizzling or Wanjina could an alternitive and if not super busy ,A dual service of one of these and DF and if a positive scan happens you get a chance of either .All at the same farm, over to the experts . We are breeding to race ourselves, Thanks for your input. I’m Having a good look at them all. The problem with me is they all look good 😁 I see a few famous names and I get star struck! And the frustrating part is you know that somewhere you are looking at a really handy horse, or maybe even better........but which one is it? Introduce Danehill, DH free, balanced Mr P? And on and on it goes, the challenge is the drawcard? 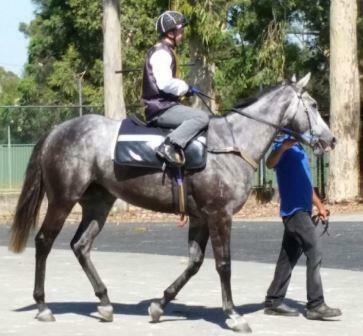 Doubt you will get into Nicconi as he will be busy due to not serving after an injury mid breeding season. Sebring a big price tag for breed to race. Breed to race I would be going for something proven and in your price range. Your Song may be an option for you at Widden. Outside of proven I would want to see foals on the ground. Of the newer boys, Mikki Isle puts a nice foal on the ground. Divine Prophet throwing a nice type and very very fertile. 2 from 2 today for Shamus . Gundagai - not really getting me excited. To be fair, he has a lot of friends from that crop of sires that aren't doing much. Shamus just had one come 3rd at Doomben , was a flashing red light run . Good work, that’s the sort of stuff I don’t pick up on 👌 Waiting to hear result of 3rd cover by Deep Field.